9 generous building plots for sale in the newest section of the golf resort. La Pineda is the newest sector of this exclusive luxury golf resort. It offers 9 large plots ranging from 1,000 to 1,400 m², allowing for the construction of private villas of up to 300 m². An excellent opportunity to build a tailor-made golf property in a peaceful, green area of the resort, within easy reach of Girona City and the beaches of the Costa Brava. The plots are located close to the 7th hole of the Stadium Course in a quiet area of lush vegetation just a short walk from the clubhouse. 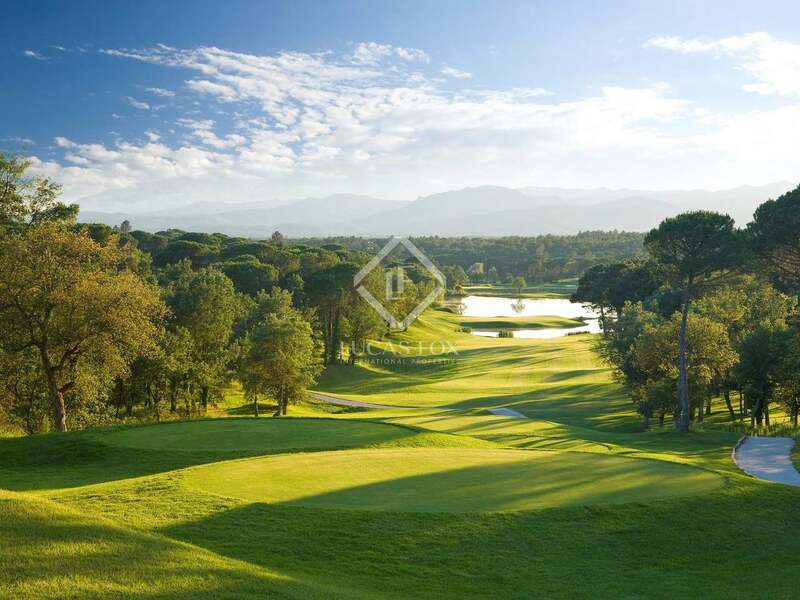 This exclusive golf resort is located close to the beautiful city of Girona and is just a 20 minute drive from the nearest beaches of the Costa Brava. The resort is only a few kilometres from the nearest town and enjoys superb access to Girona airport (7km) and to the city of Barcelona (85km). The nearest ski slopes of the Spanish Pyrenees are just 120km from the resort and the French border is only 85km away.